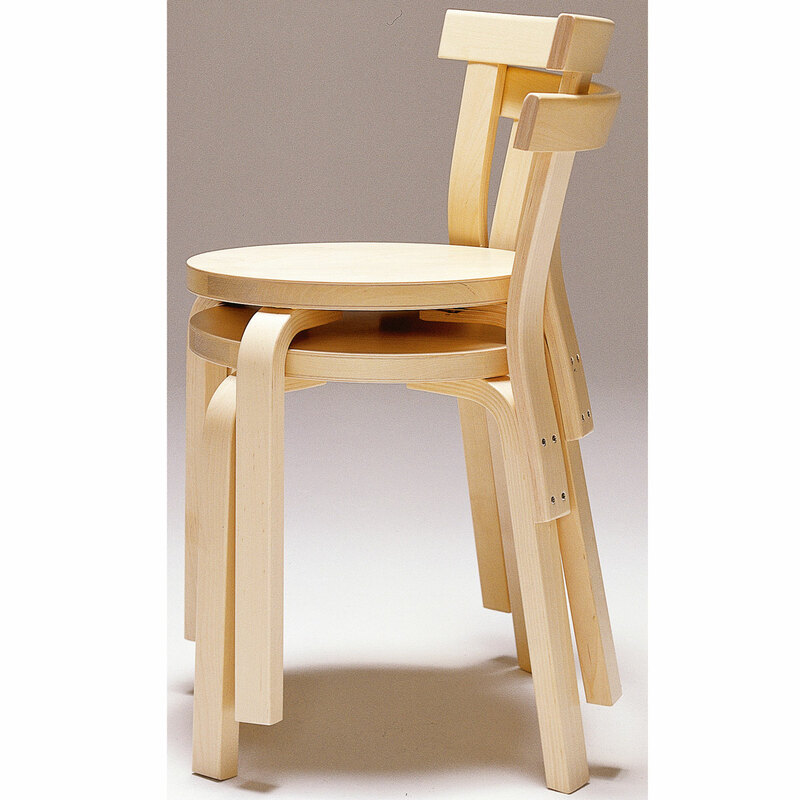 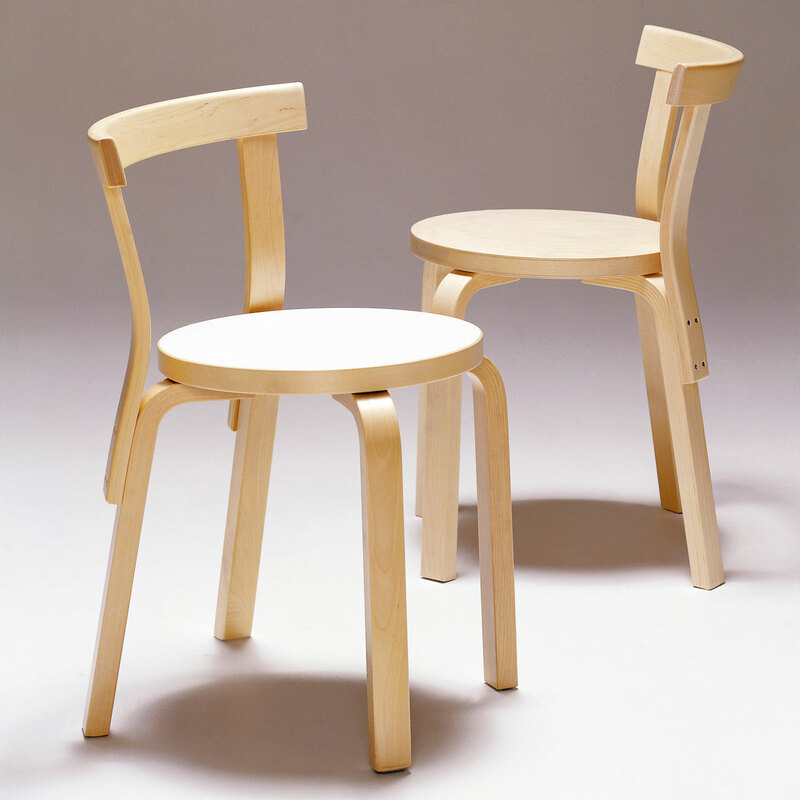 An undisputed classic, the 68 Chair by Alvar Aalto was designed in 1935 with functionality, simplicity and longevity in mind, and is still being demanded and produced the same way today. 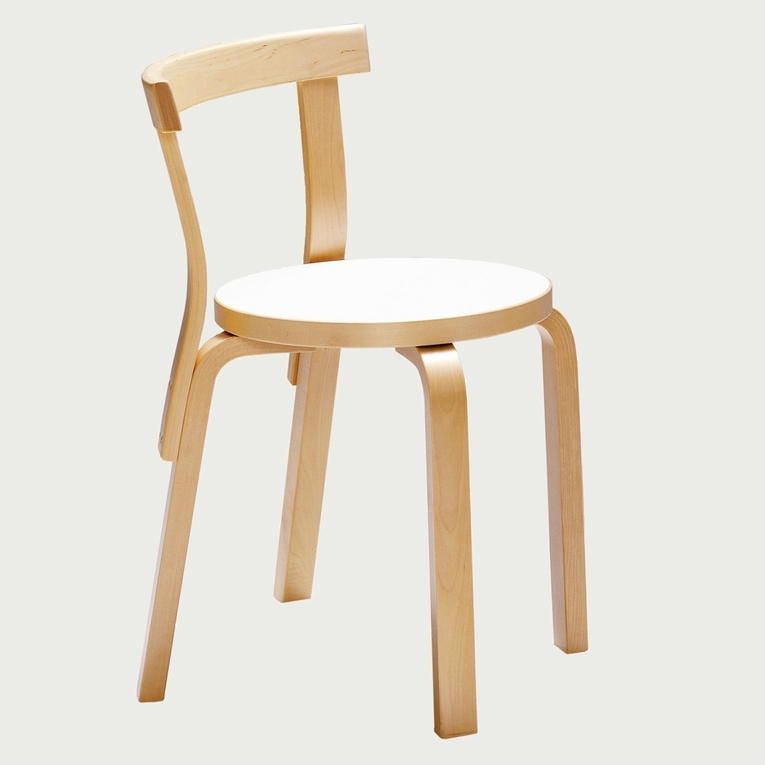 Conveniently stackable, this design has the patented L-leg technology that mad Alvar Aalto a household name, and the backrest matches this clean, molded look. Crafted from beautiful birch wood, this frame holds a sleek circular seat that can be customized with a white laminate, black linoleum or natural lacquered finish to best suit your style. 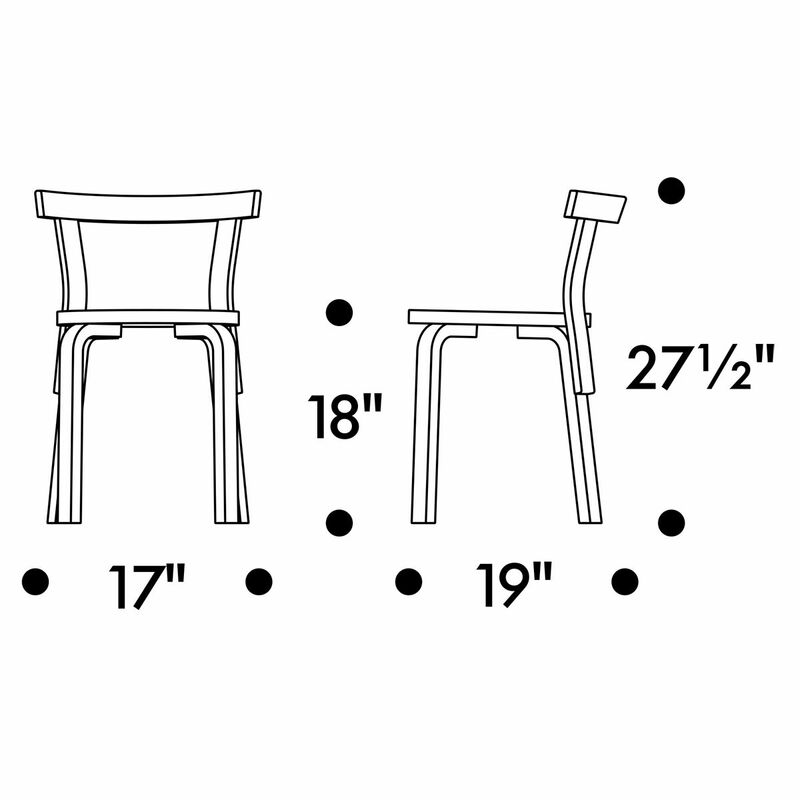 Finland is known for its timeless design and quality construction, and with the Artek Alvar Aalto 68 Chair, your home can be, too.Please review our Shipping Information page before ordering.